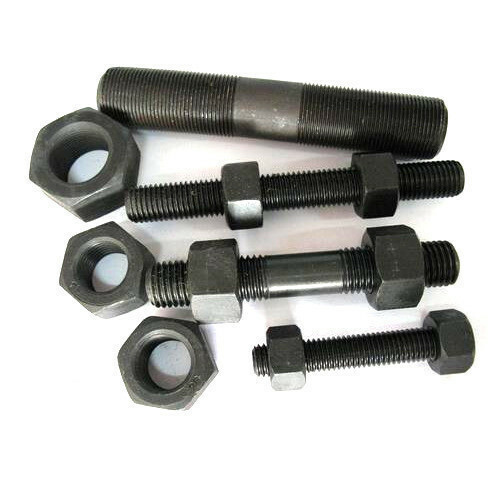 We are engaged in importing, exporting and supplying a wide range of High Tensile Fasteners to our clients. Our ranges of high tensile fasteners and alloy steel fasteners are packed by us in proper packaging for safe dispatching. We have deployed a team of highly skilled programmers and operators to offer a highly effective solution to our clients. Our respected clients can avail these from us at economical prices. Rajveer Stainless & Alloys is counted amongst the most promising manufacturer firm delivering a qualitative range of Pipe Fittings, Flanges & Fasteners. Leveraging the domain expertise, and improvised business philosophies, we are actively engaged in managing a broadened product range, which includes innovatively developed Fitting, Brass Fitting and Fastener. Due to the continuous improvement in our product designs, we have become able to fabricate the matchless range of fittings accessories featuring comprehensive properties of sturdy construction, precisely designed dimensions, technologically developed compression ends, optimum pressure range, and corrosion proof service life.